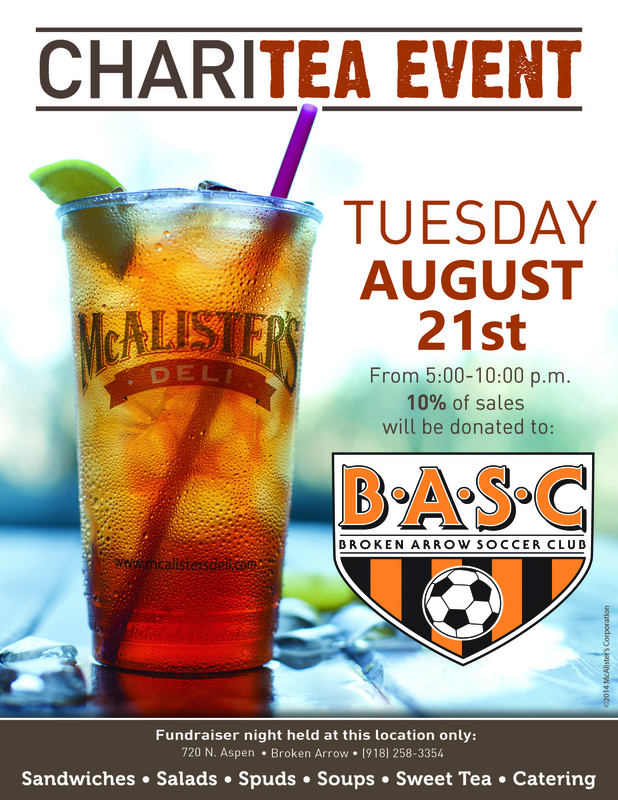 McAlister's Charitea Event August 21st!! BASC will be holding a "CHARITEA EVENT" on Tuesday, August 21 from 5pm to 10pm. 10% of sales will be donated to BASC! Broken Arrow location only: 720 N. Aspen.